The House approved their version of the budget on Thursday morning, the Senate did so Thursday night. The House budget includes the delay in payments to KPERS with “promises” to pay the money back next year. On a motion of Rep. Johnson (R-Asaria), the House amended the KPERS provision to require the payback in the first quarter of the next fiscal year with 8% interest. The Senate, on the other hand, removed the delay of KPERS funding requiring the state to go ahead and fund KPERS as scheduled. Both chambers also ignored the Supreme Court decision on school funding equity that came out Thursday morning. The Court decision found SB 7 (block grants) to be unconstitutional in that it does not provide for equity. There had been some thought that votes on the budget would be postponed. A motion to refer the budget back to committee failed on the House floor. We will now be interested in seeing how the Legislature plans to respond to the Court’s ruling. YEA: Abrams, Arpke, Bowers, Bruce, Denning, Donovan, Fitzgerald, Holmes, Kerschen, King, Knox, Love, Lynn, Masterson, Melcher, O’Donnell, Olson, Ostmeyer, Petersen, Pilcher-Cook, Powell, Smith, Wagle, and Wilborn. NAY: Baumgardner, Faust-Goudeau, Francisco, Haley, Hawk, Hensley, Holland, Kelly, LaTurner, Longbine, Pettey, Pyle, V. Schmidt, Tyson, and Wolf. The June 30 Deadline Looms! You’ve been reading that the Supreme Court has given the Legislature until June 30 to address the equity issues in school funding. Yet to be decided is whether or not overall funding is adequate. The Court clearly said that if the order is not addressed by that date, then schools would be closed because the state would be prohibited from providing funding in an unconstitutional manner. This order has led to plenty of posturing and chest-pounding on the part of some in the Legislature. But we are confident that, when the dust settles, the Legislature will get back to work and address the situation. There is still plenty of time between now and June 30 for the Legislature to take the appropriate action and that is our expectation. No one on either side of the aisle and of any ideology really wants schools to close. 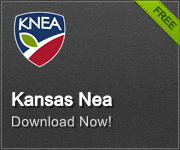 KNEA, along with all other advocates for the education of Kansas kids will be working in any way we can to keep the process moving forward until a reasonable solution is found. The House Pension Committee has been quite busy the last couple of days. First during Wednesday’s regularly meeting they heard testimony regarding HB 2542 known as the COLA bill. There were 5 proponents and no opponents nor was there any neutral testimony regarding the bill. There was some spirited discussion during the testimony, but in the end we would be surprised if the committee works the bill. During yesterday’s questions and statements legislators expressed sympathy, but also asserted that there is no money to support such an effort. Given those statements from the legislators yesterday and the ruling against the state by the Supreme Court regarding the equity portion of the Gannon Case which puts the state’s budget in turmoil, we do not believe there is much hope for the bill. After the regular committee meeting the subcommittee on Working after Retirement (WAR) met. They discussed certain aspects of WAR regulations during a brief meeting. The subcommittee met again today to begin finalizing recommendations to a bill modifying the WAR regulations. Using one bill to put together HB 2656, HB 2654, and HB 2653 with balloons that address the discussions of the subcommittee. HB 2656 is Rep. Trimmers bill regarding working until 62 at which time a person would be able to choose WAR options that resemble the regulations that recently sunset. HB 2654 addresses nurses and WAR. HB 2653 addresses grandfathering in folks into WAR for 2 more years, grant the hardship cases a 3 year extension rather than a year by year extension. Next they also discussed that the hardship cases not go through the legislative committee for approval. Consideration of how to implement Representative Edmonds’ request for a signed document declaring that no previous discussions had occurred for a position that a person applies for under WAR regulations. The document would be signed by the employee and in the case of school districts the board president.